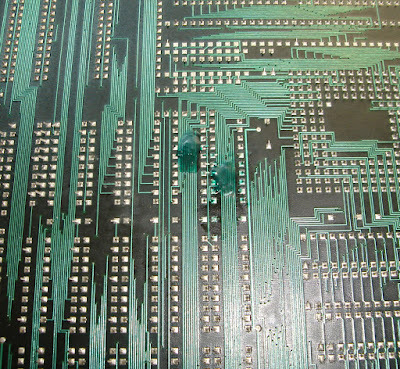 This board was completely dead I had sync but that was about it, after an inspection it soon became clear why. 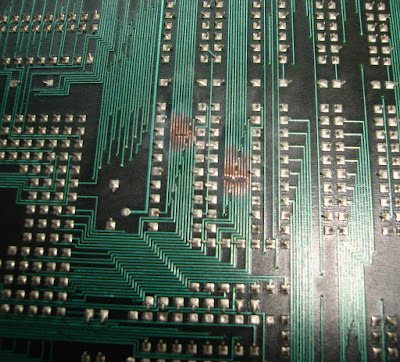 Two nasty gauges on the back of the board taking out many traces, I removed the solder mask either side of the breaks with a fibreglass pen and repaired each trace using a single strand from some multi core wire, just like in a previous Sunset Riders Repair. 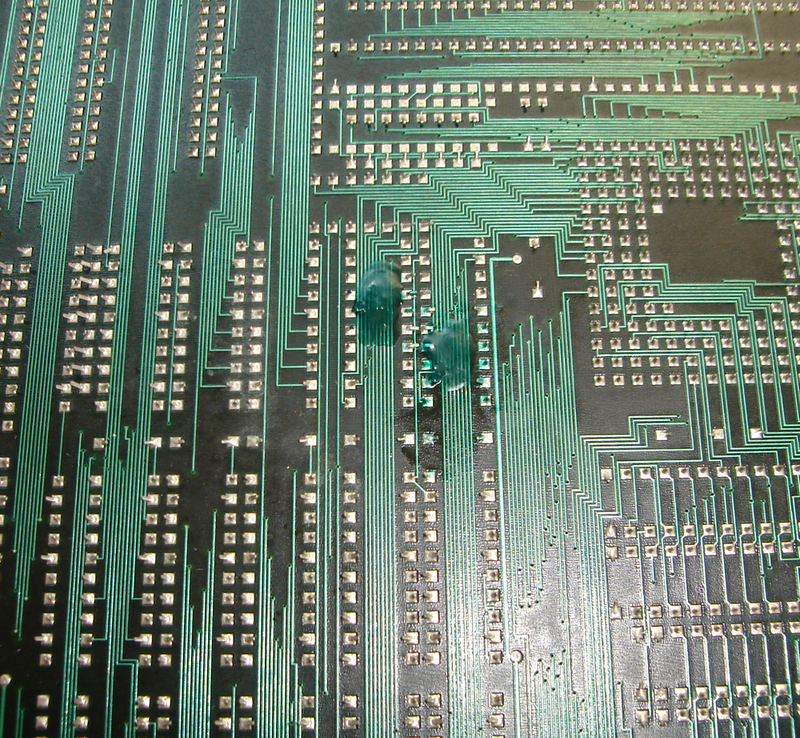 Liquid solder mask applied to protect the repair. The board then booted right up and worked perfectly or so I thought. 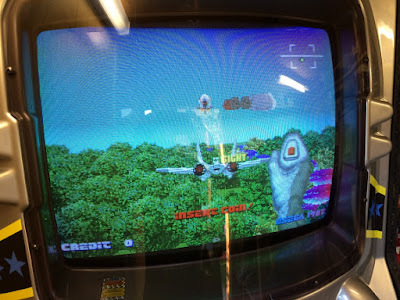 After I finished my harness to test it fully I could see that the analogue controls (joystick and throttle) weren't working. 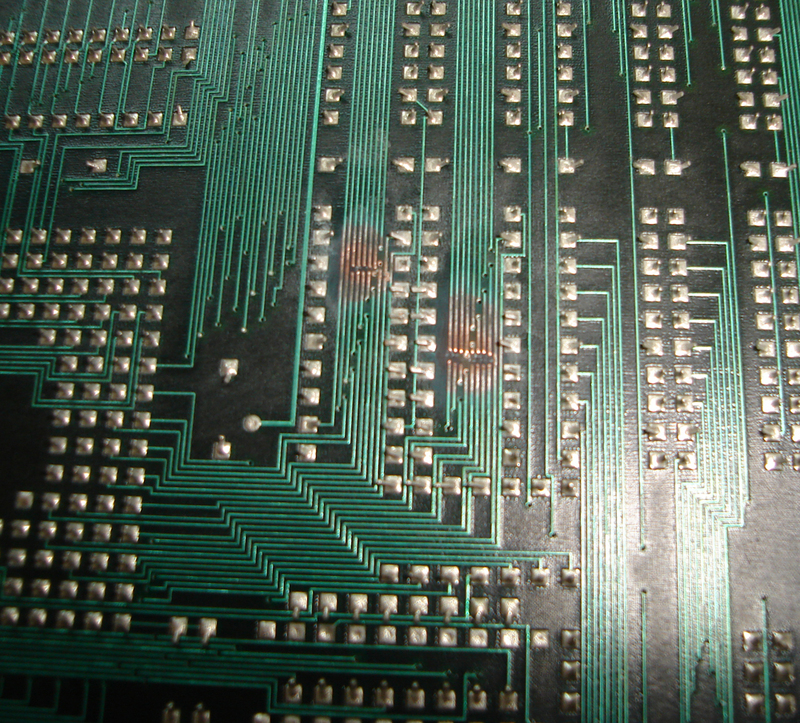 This turned out to be a bad ADC0804, I pulled a replacement from a scrap system x board and replaced it which fixed the issue. This was actually a GP Rider to start with but after a rom / pal swap it's now an After Burner. Up and running in its new home.